525 america V Neck Sweater in Blue. 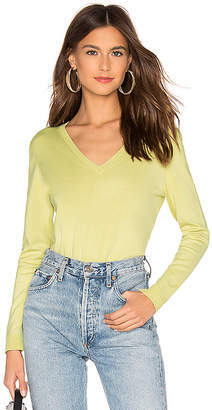 - size L (also in M,S,XS) 525 america V Neck Sweater in Blue. - size L (also in M,S,XS) 100% rayon. Hand wash cold. Ribbed fabrication. 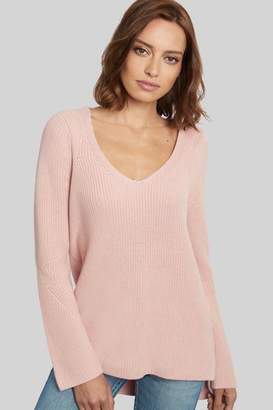 Rib knit trim. Imported. 525A-WK277. S4798. 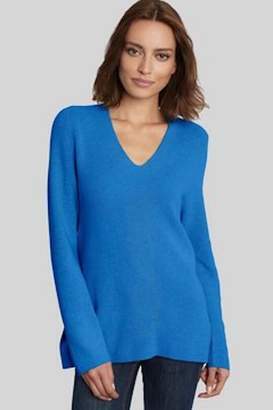 Since its 1983 debut in Brooklyn, 525 America made its name with a focus on high-quality cotton sweaters in modern shapes, textures and colors that appeal to women of all ages and budgets. Since then, innovation has pushed the label ahead of the pack with its knitwear creations in forward yarns. Design spans the spectrum from classic to cutting-edge in cotton, chenille, cashmere, and more.